Starbucks rounds out their 2018 holiday drink menu with a late addition: the new Juniper Latte. 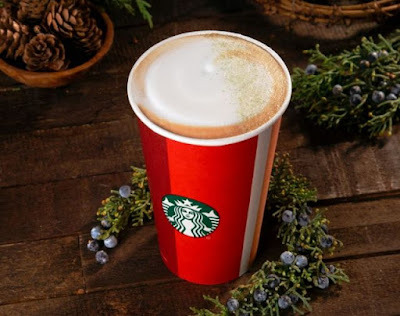 Available for a limited time, while supplies last, the festive beverage features espresso and steamed milk mixed with juniper syrup and finished with a cap of milk foam and dusting of pine-citrus sugar. The Juniper Latte is inspired by a similar beverage that the chain introduced last year exclusively at the Starbucks Reserve Roastery in Seattle, WA.